Man has been burning wood as a renewable, carbon neutral fuel for thosands of years. It is only recently that we have given much thought to what is coming out of the chimney. We Americans do seem to be behind the curve in this realm. There are some wonderful new North American products out there, but in reality, the Europeans have been at this game a long time. They have it down pretty good if you are comparing a high tech gasification boiler to a firebox submerged in water. 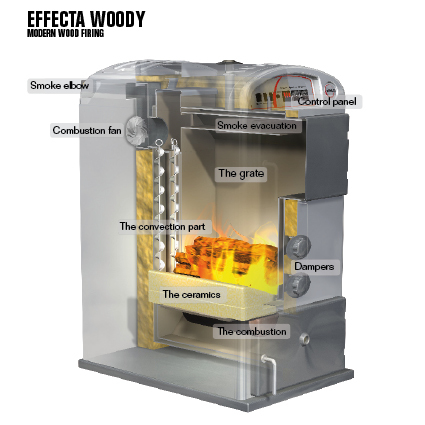 The EPA has been clamping down on woodstoves in the USA for many years. The new EPA rated stoves burn cleaner, longer, produce more heat, and with less wood. American and Canadian manufacturers have stepped up to the plate and re-engineered their product line. More and more communities are concerned about airborn particulate. They are passing regulations requiring all new and replacement stoves be EPA certifed and display the test results so the world can see. 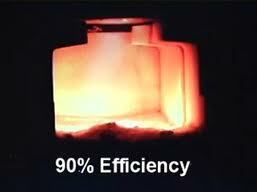 It is a behind the scene competition among manufacturers to produce the cleanest stoves. It is now a sense of pride to build the cleanest stoves. Some manufacturers added catalytic combustors and a new replaceable product for their dealers that needs servicing every year and replacement every few years. The better manufacturers played around with secondary combustion. 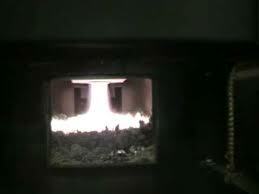 By injecting air into the top of the firebox they found they could reburn the gasses and get more heat and less smoke. Today the best woodstoves do not rely on catalytic combustors. 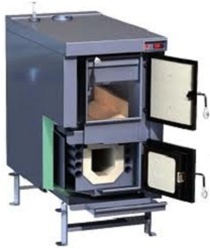 Did you realize that in Switzerland it would be illegal to sell or install a typical North American outdoor wood boiler which has been sold and installed by the tens of thousands across North America? The same holds true for most of Europe. They are amazed that we would burn such an outragous product and even more stunned at how popular they are here. But that is changing rapdily as folks begin to do their homework online and can see how the rest of the world does it. 3 Steps to Complete Combustion. 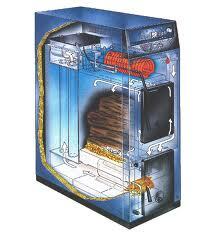 To burn solid fuels such as wood efficiently, you need complete combustion. For complete combustion you need 3 things - fuel, air and ingnition. How you control that process determins how well combustion occurs. By moving the combustion below the firebox where the wood sits, you super heat the fuel which vaporizes as a gas, the gas is drawn through a funnel which is re-combustion occurs at aprox 2000 degrees. There is very little particulate that escapes the chimney. Instead of smoke there is water vapor. Here are some various pictures of gasfiaction boilers where the combustion chamber is below and combustion is controlled through variable speed blowers and oxygen controls. As you can see by the way the fire burns and how hot it gets, the thick refractory reflects all that intense infrared energy back raising the combustion temps like that of a steel blast furnace, far higher than if it were surounded with water and steel. The Pro Fab Elite is a good example shown on the right below. 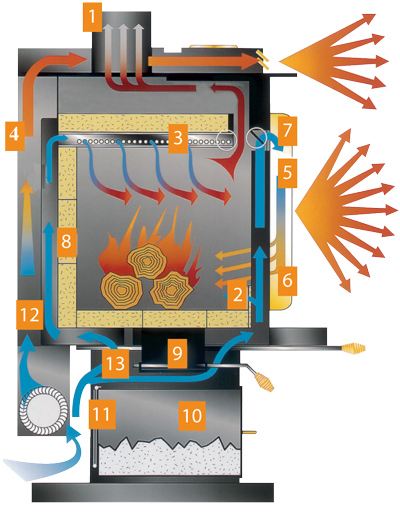 The pictures demonstrate how a wood gasification boiler works. 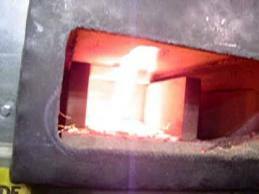 Combustion takes place at extreme tempertures below the firebox, essentially cooking the cordwood in the firebox above. 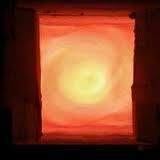 As the wood cooks it releases gasses which are then burned cleanly. If you want to find even more info on wood heating, check out my blog at Obadiah's Woodstoves, where I will be adding new articles as time allows.